My thanks to the Sou’Wester for reporting on the opening of this new retail store in our community. A new retailer will soon spruce up an old spot in Fort Richmond. 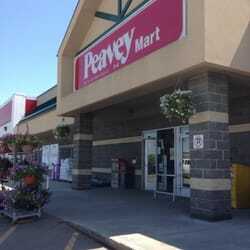 Peavey Mart, a Canadian-owned urban-farm market, hardware and general store, will open in the late fall in the former Zellers location in the Fort Richmond Plaza (2860 Pembina Hwy.). The new 33,000-square-foot location will be the second for the chain in Winnipeg — in addition to its store at 1150 Nairn Ave. — and fifth in the province. Jest Sidloski, director of customer experience with Peavey Mart, said the brand had been seeking a second location in the city for some time and the former department store in the south end of the city presented an interesting opportunity. Peavey Mart will join the new Sobeys Extra on the lot, which opened in January 2016, and will begin to set up shop following an extensive renovation. “There’s a lot that’s going into this one,” Sidloski said. “We’re moving into the old Zellers location but we’re not taking the whole building because Peavey Marts are typically a smaller footprint. While the new location will be quite a bit smaller than the one on Nairn — it’s one of the brand’s largest stores in western Canada — Sidloski said the new Peavey Mart will carry staple agricultural goods, housewares, pet products and sporting goods and may branch out to homesteading supplies. It will also have a significant outdoor compound for large agricultural supplies and a full greenhouse and garden centre, plans for which were recently approved at Riel community committee.